and sizzle to any event or party. Place a custom To-Go order from the full menu or choose one of these pre-assembled Party Packs to make planning a snap. Click on the Packs below to learn more about each. These party packs combine tender aged beef and chicken fajitas with all of the trimmings at a great value. Each of the party packs are served with guacamole, pico de gallo, sour cream, cheddar cheese, grilled onions, rice, frijoles a la charra, fresh flour tortillas, chips & salsa. Loaded with flavor, our Fiesta packs combine tender slow-smoked pork ribs with Brochette-style shrimp, mesquite-grilled quail, jalapeño sausage links, beef & chicken fajitas at a great value. Convenient packs of enchiladas or tacos are each served with rice, beans, chips & salsa. 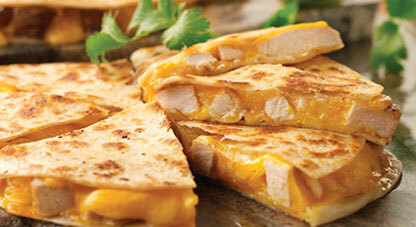 Enchilada packs are available in your choice of chicken, beef or cheese. Taco packs are available in chicken or beef. No party is complete without chips & dip. Our packs include freshly made salsa, queso and more than enough chips to scoop it all up. Guacamole and Creamy Avocado are available as add-ons. Our banquet rooms and patios are perfect for fun, festive and flavorful holiday gatherings, social events, rehearsal dinners, and company functions. Our experienced Event Manager can help personalize any occasion. We're here to make sure your event sizzles. This location has 4 Party Rooms. 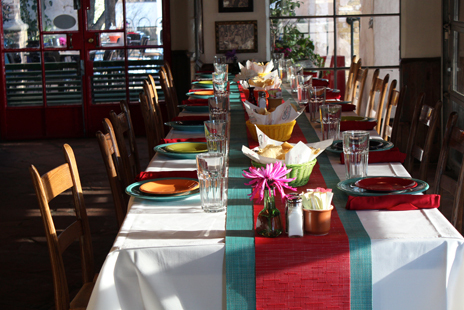 The Fiesta Room is the perfect private room to have your event in with its Old World Mexican charm. Tables can be arranged to suit many different needs from traditional banquet-style seating to round tables seating six each. Located on a secluded side of our restaurant, French doors welcome your Guests into the elegant ambiance of this room. Rich red velvet curtains enrich the look and can also be drawn to set a quieter atmosphere or to enhance the quality of audiovisual presentations. 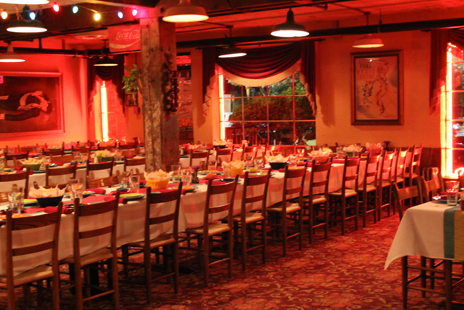 Traditional Mexican style décor, lush carpeting, music and rustic iron chandeliers give our Fiesta Room a true Tex-Mex feel. The Ventana Room is a great room for smaller parties. From its Spanish word “window” this area has a “sunroom” or “patio” type of feel with the advantages of full climate control. 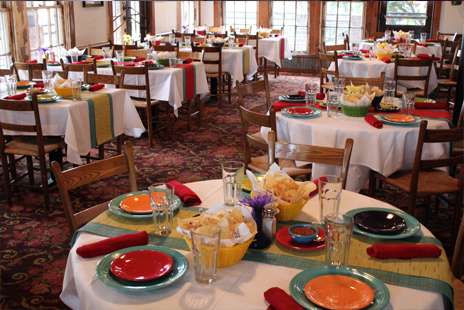 Traditional Tex-Mex décor gives this room our Pappasito’s flair. The Ventana Room can also be enlarged by opening roll-up doors to include much of our covered patio. This is a great open-air option for a reception or cocktail style party. The Outside Patio is a great place for a party with San Antonio's wonderful weather. Fans and heaters are available to help create your desired temperature. With an incredibly tropical feeling, The Patio can set a romantic sentiment or a party atmosphere. Located at the rear of our restaurant ready to seat as many guests you may have. This large space is ready for a baby shower, family gatherings or a Christmas party. 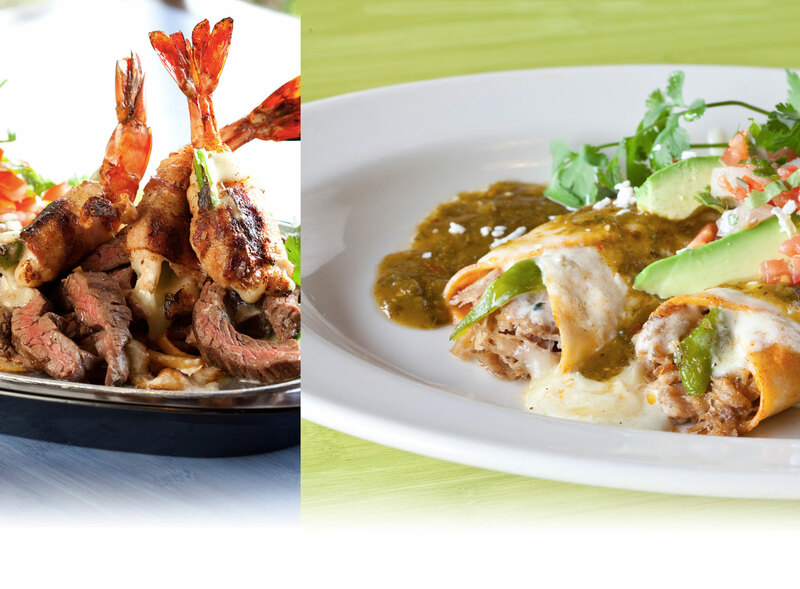 When a passion for a perfectly planned event is coupled with the love of legendary Tex-Mex, only Pappasito’s Cantina can fulfill your desires. Our professional staff will cater to your every whim, while you and your guests indulge in hand-crafted drinks and delicious food in our comfortable, fun and festive Party Rooms. All you have to do is show up and relax! 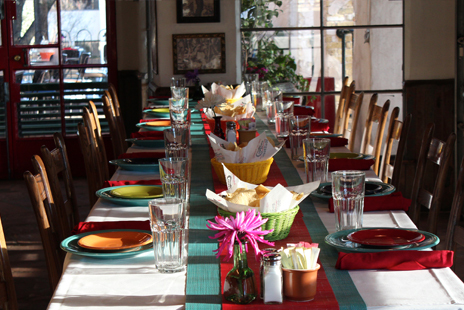 Pappasito’s offers several menu options, including cocktail, traditional banquet, buffet and family-style service. Vegetarian selections are available upon request. For events including bar service, you may select open bar or cash bar. Prices and menu options are subject to change. Questions? 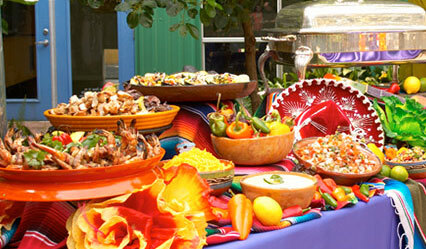 Ready to book your fiesta? Please contact our Event Manager. Decorations, including floral arrangements, greenery, candles and balloons may be arranged for an additional fee. Menu confirmation and final guest headcount are due four business days prior to the scheduled event. Otherwise the guaranteed minimum listed on your contract will be considered the final count. No deposit is required. A signed contract must be submitted prior to the event. We accept cash payments, Visa, MasterCard, American Express, Discover and Diners Club. No separate checks, please. For your convenience, corporate accounts may also be arranged. Tax and gratuity will be added to all parties. To ensure availability, we recommend confirmation as soon as possible on the private dining room you are requesting. During peak seasons, including the Christmas holidays, we recommend that you book your party 30 to 45 days in advance. Perfect for your next business meetings, conferences or special event - we’ll bring your Pappasito’s favorites straight to you. Our delivery staff will unload and display your order buffet-style in disposable aluminum containers, so you don’t have to worry about a thing. Order minimums apply. 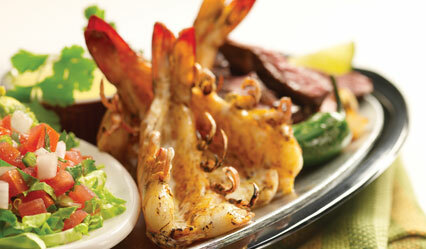 For Delivery Menus & more information, click here. Pappas Catering specializes in buffet service and custom event design for cocktail receptions, weddings, lunches, dinners or corporate events. Our consultants will plan every detail of your event and coordinate any combination of services. We can help you select everything from menu and beverages, to décor and entertainment. Buffet staff is included in menu price. For full-service Catering Menus & more information on Pappas Catering, click here.